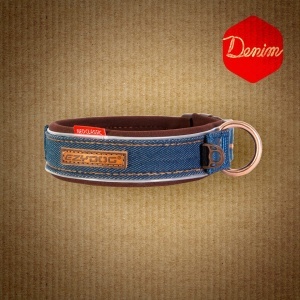 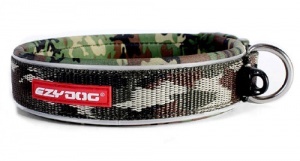 Ezydog Collars have a number of unique and exciting features to provide your pet with the safest smartest and most hardwearing collar available. 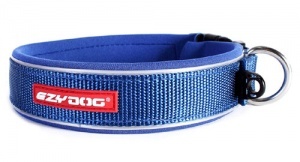 Ezydog collars are all lined with neoprene - the same material ued by deep sea divers for their wetsuits - which is soft and warm to the touch but completely rot-proof in both salt and fresh water. 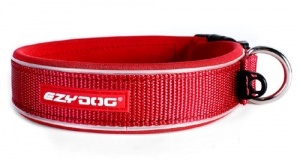 The colours are bright and vibrant and all our collars include strips of light reflective tape to ensure maximum safety at night or in low light conditions. 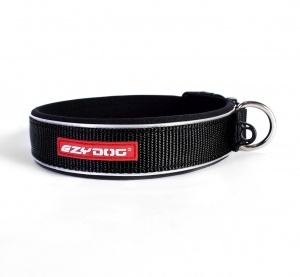 The stainless steel ring on and Ezydog collar is welded not just pressed like so many lower quality products, and the snap clip is the most robust available.